This is not a photo of my dad. I wish it were. I wish I could have found a photo of him while perusing the photo archives of the Copenhagen City Museum but those odds are quite astronomical. While it's not him, it almost could be. During the Second World War my grandmother - my dad's mum - died and one of his aunts took care of him. He moved from Northern Jutland to Roskilde, near Copenhagen at the age of 15. 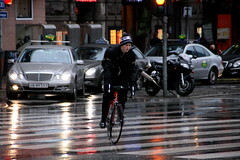 He got a job, like many Danish boys, as a bike messenger boy in the town. Not long after, he got a job in Copenhagen, working for a green grocers on Gothersgade. Again, he was a bike messenger, riding out to the so-calle 'Vegetable Square' - where shops stocked up on wholesale greens and fruits in the morning - on a Short John like in the photo or a large three-wheeler. He also delivered goods to customers during the day and he lived with the family who owned the shop. So this photo, for me, is a brilliant and unexpected glimpse into my father's youth. By the looks of the cars it is from the 1940's. 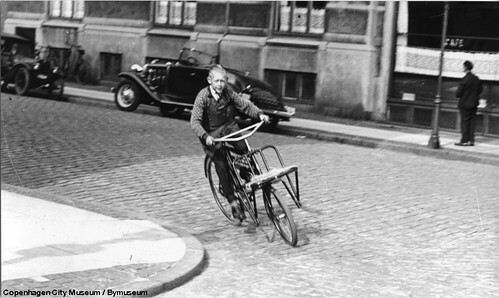 Here's another glimpse into the history of bike messengers in Copenhagen. 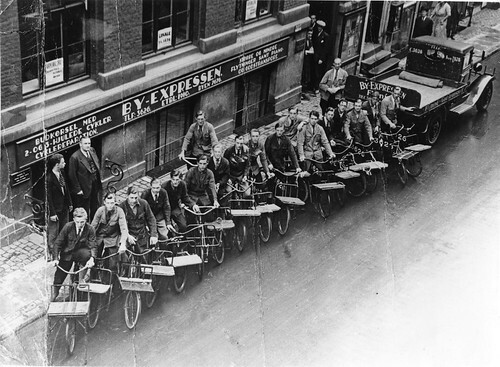 A company, 'By-expressen' or City Express in English lined up all their messengers for a photo. What a brilliant flock of well-dressed young men. Here's one of the cycles my dad also rode around the city. They're still present on the streets, but they have been largely replaced by the many brands of three-wheeler cargo bikes we see in the city. The Copenhagen SUVs. 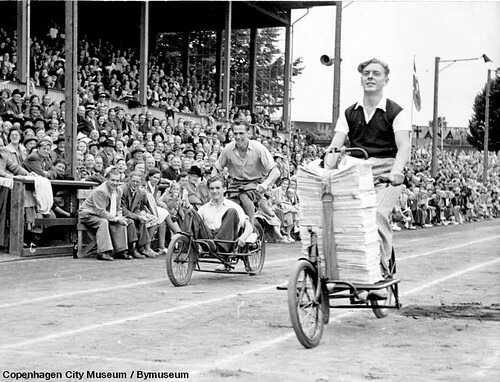 Cargo bike races were a main fixture for decades. 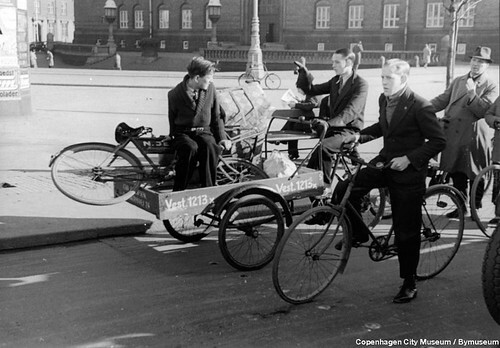 Here's a photo of a cargo bike race in 1950 featuring classic Danish Long John bicycles. In this case it was part of 'Fagernes Fest' - a festival and competition for the unions. Bike messengers would compete against each other, just as barrelmakers would do the same, and so on for all the different types of jobs. These festivals were very popular. Just look at the crowds above. We posted about the revival of the 'Svajerløb' / Cargo bike races last year and we're looking forward to the 2010 race, too. Next year marks 50 years since the last official cargo bike race in 1960. 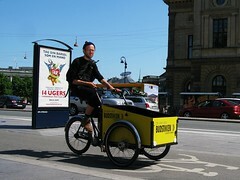 We do, of course, still have bike messengers in Copenhagen after all these years. With and without cargo bikes. 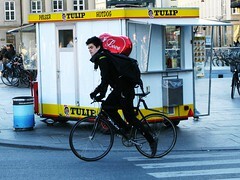 They are a part of the long, proud history of bike messengers in Copenhagen.